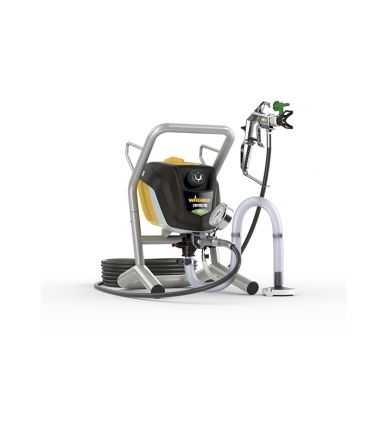 If you are planning a larger project and want to spray both internal walls and other surfaces, you need the W 590 spray system. Thanks to its two spray attachments (for low and high viscosity materials) you can apply wall as well as wood and metal paints. The powerful X-Boost turbine sprays all conventional materials undiluted using the innovative I-Spray nozzle. The volume of air and paint you are spraying is fully adjustable throughout the spraying process; keeping you in complete control at all times. 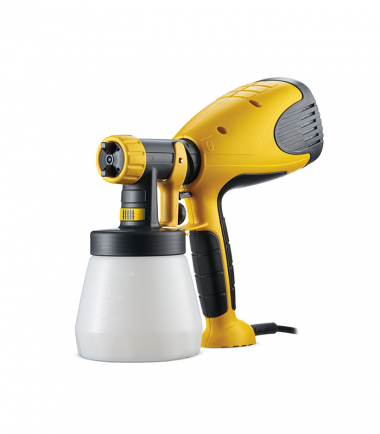 The spray jet can be adjusted horizontally and vertically depending on the direction you wish to work including a detailed jet for wood and metal paints – for fast, perfect coverage. The W 590 FLEXiO is supplied in a handy carry case. Hardly any masking required: A jacket of air surrounds the paint minimizing overspray. Quickly and easily apply paint. No need for time consuming cutting in with a paint brush on corners and edges. Compact, manual system for flexible application. High-powered turbine enables standard paints to be sprayed without diluting. The seal of quality for simple, fast and clean paint application with perfect results. Spraying units and paints that feature the Perfect Spray symbol give you extra reassurance. Simply dilute the material by 10% if necessary and off you go – by spraying you achieve perfect results in just a few minutes! 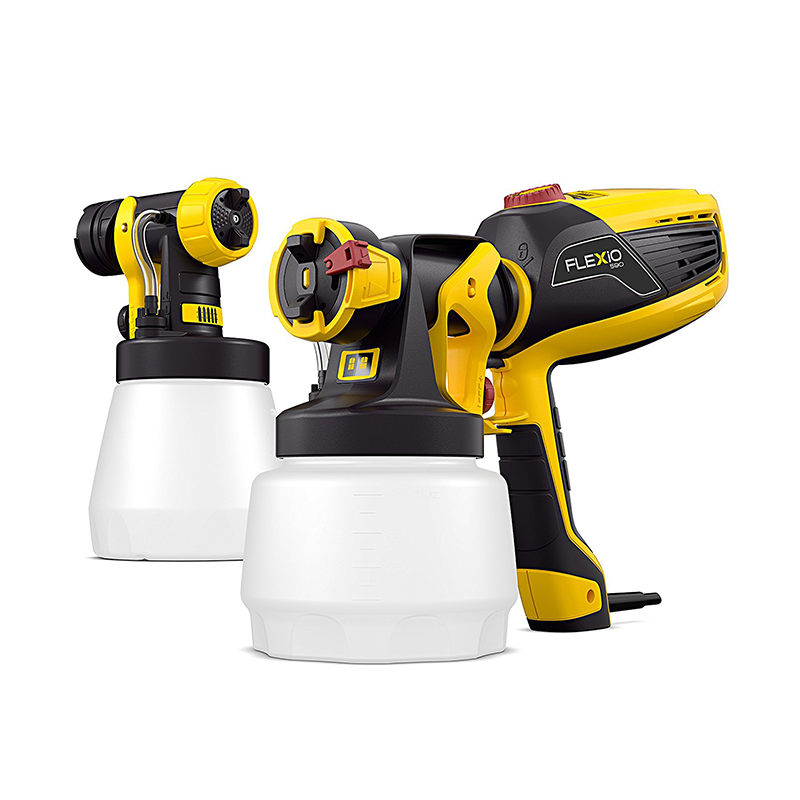 Click & Paint features on all systems where the spray attachment can be removed from the turbine by a single click.